Remember that time your neighbors did a major renovation and, just before they moved back in to their fully refreshed home, they suddenly added some house numbers that didn’t match and a front stair rail that they took back down just after moving in? Well, what you were witnessing was your neighbor preparing to meet the requirements of a Certificate of Occupancy. A Certificate of Occupancy is a legal document issued by your local government entity certifying that the building meets all building codes and laws and that the home is suitable for occupancy. The rules and requirements for a “CO” vary among different municipalities. The purchase of new construction. Once the builder has completed the residence, and before the home can be sold, an inspector must visit the building to ensure the structure meets all codes and that there are no safety hazards and the home is ready for occupancy. The purchase of a home that has been heavily renovated. Recently we have seen purchase sales where the seller takes previously occupied homes and completes high-end renovations. In many cases allowing the buyer to have a say in the materials being used. In this instance a Certificate of Occupancy will also be required to ensure the renovations were completed in compliance with building codes. Conversions, in which a building is being converted from a commercial use to a residential use. For example, where old commercial buildings are being turned into loft-style condominiums or even single-family residences. The extent of the conversion necessitates a CO.
Property repair after damage. If you are ever unfortunate enough to have severe property damage from a fallen tree, flooding, tornado, or the like, the county or other local government may condemn the dwelling (meaning you cannot live in the home) until all necessary repairs have been made and a Certificate of Occupancy has been issued. And a CO is not just a signal for occupancy, despite its name. In most cases it also will be required before you can complete the mortgage process. Likewise, your homeowner’s insurance company may also require a CO. So, for instance, if you have had a bridge or construction loan during your build or renovation, your lender understands there will be no Certificate of Occupancy. Still, one will be required before permanent financing (your mortgage) can be put in place. 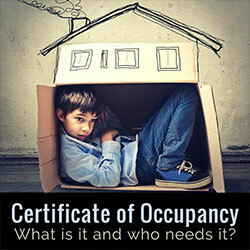 An exception may be in cases in which a Temporary Certificate of Occupancy is issued. This usually means the municipality responsible for the CO is saying, in effect, this property is ready to occupy, pending minor work, before the permanent CO can be granted. As you might imagine, a TCO is only good for a specified period of time, such as 60 or 90 days. Some lenders will proceed with your mortgage based on a TCO, though that mortgage would be conditional, while other lenders will not honor a TCO at all. Can you occupy the house without a CO? The answer varies depending on your circumstances (do you need financing, do you plan to never sell the home, etc.) and the local municipality in charge of COs, but it’s not likely a good idea. For one, the municipality may take legal action to ensure you do not occupy the home, even having you removed from it once you are in. Then there are a host of other potential ramifications. For instance, the issuance of a CO often triggers notification of the local tax assessor’s office, and you might get dinged for underpaying taxes if they don’t know the home is finished or improved. When you are poised to move and under the stress that often entails, a Certificate of Occupancy can seem like an added and even unnecessary hassle, but it is in the homeowner’s best interest. Think of it as a check-and-balance precaution that says your home is safe for occupancy and saleable in the future. A matchmaker and a real estate agent walk into a bar. As soon as they meet, there was an instant connection. Did you ever think that match-making could be linked to real estate? Millennials have been flooding dating websites and as this epidemic keeps growing, so does their desire for innovative ways to stay connected, especially for what could be the biggest decision in their life; buying Real Estate. Millennials are now ready to enter the home buying market and it is no surprise that these digital natives are doing things differently than previous generations. According to the National Association of Realtors, home-sellers are having difficulty reaching this evasive and mobile group. “The buying process was very overwhelming, trying to find the right agent and expressing to them exactly what you want/need is difficult, when it’s all said and done, it is one of the most gratifying experiences one will ever have, I just wish there was a faster process”, says millennial, first time home buyer, Chris Colosimo from Western New York. 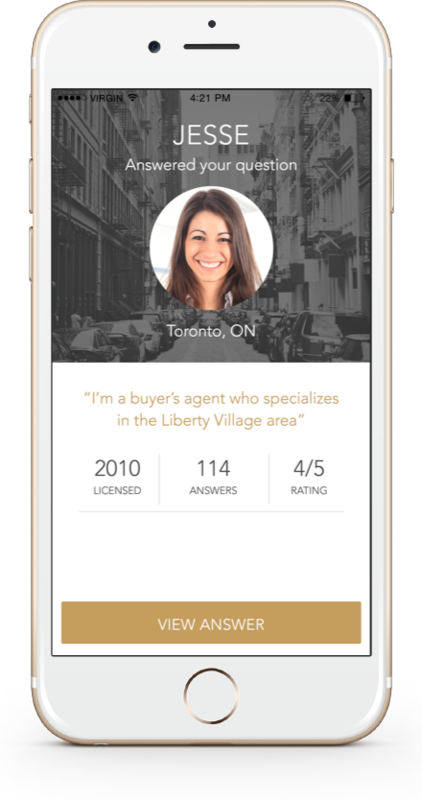 Avenue, a new real estate agent matching and advice app, is here to help! 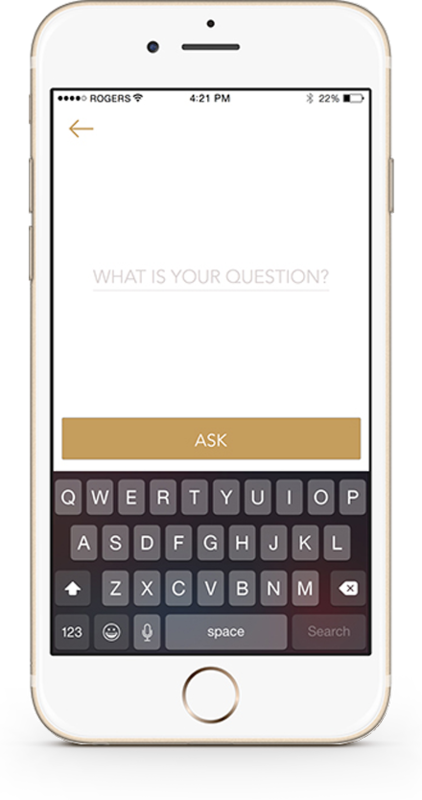 Homeowners can download the app for free and ask any real estate related question. Their question is then broadcast to nearby agents and Avenue’s unique matching process will enable the best matched real estate agents to respond to their question. This process is based on personality, common interests and needs taken from your public Facebook profile. It’s quite obvious that home buying can be a daunting task, but this new technology will make first time homebuyers feel comfortable with such a big decision. 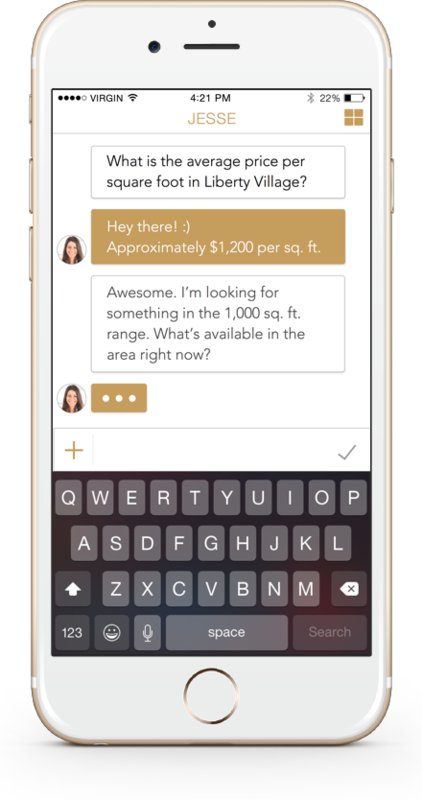 Avenue works in both the realtor and home-buyers favor, allowing home-buyers to ask real estate related questions and enable the best matched real estate agents to respond quickly and directly via instant messaging. Consumers don’t have to deal with pesky phone calls or slow emails from a salesperson; they simply get the advice they want with no strings attached. 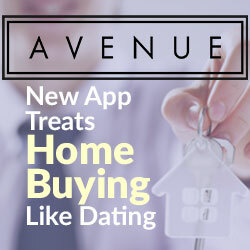 “Avenue functions as the middle ground between the digital touch & personal touch, which is exactly what the millennial crowd needs,” says Avenue CEO, Justin Shum. “There is a tremendous need in the real estate space for greater sharing of information without the friction commonly found in hiring a Realtor.” Justin’s experience as CEO of ReadyChat, coupled with his personal frustration with the home buying process led him to create this new venture. Named winner of the 2015 Realogy FWD Innovation Summit, Avenue is a free app available in the iTunes now. 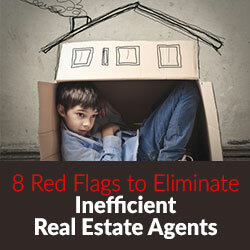 When considering buying a home, I’ve found that many folks go about it backward. They fall in love with a house, online or off, often getting excited about certain properties and neighborhoods right off the bat. This can be frustrating and disappointing if they find out that they are not really in their price range, or aren’t quite ready to buy or sell. 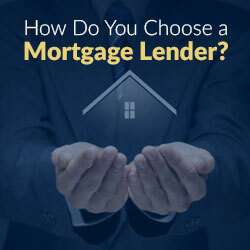 Thus, right up there with choosing a real estate professional is choosing a good lending pro. I asked home-buying pros from the other side of the table this question so you can benefit from the perspectives of both a veteran Realtor and a young real estate pro. 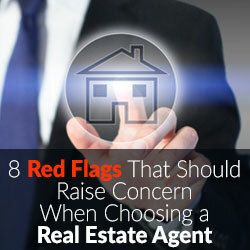 You may already have a lead on a lender, or you may have to turn to research and referrals. I would add that, in addition to your real estate pro, ask appraisers and closing attorneys and the like. Other pros likely have a go-to list of lenders. It’s important that whomever has recommended a loan officer has had good professional experience with them. Items to inquire about: Qualification requirements, points, fees and those lock-in time periods. You should be provided with Truth-in-Lending statements and Good Faith Estimates would also be helpful to further establish your bottom line. Always look for the bottom line. That is, what is in all the details that will benefit you, the buyer? Once you think you have identified the lender who is right for you, meet them for a face-to-face interview to be sure that your expectations are in line and communication is easy. When buying or selling a home there are fees or “closing costs” that are associated with the mortgage transaction. There are many variations to these fees by location (primarily state and county), the lender, the type of loan, and your specific transaction. Down Payment. This is what it sounds like – the money you will put toward the purchase of the home apart from any mortgage. The size of the down payment can influence the amount of risk the mortgage lender is willing to take. For instance, you might get better loan terms by committing to a larger down payment amount. Title search fees, which pay for a background check on the title to make sure there are not any unpaid mortgages or tax liens on the property. Title insurance, which help protects the lender and/or borrower depending on the coverage purchased in case the title is not “clean.” That is, if some lien or other encumbrance on the property is in fact discovered later. Attorney’s fees for closing the loan transaction. This is what it sounds like: The attorney who helps finalize the transaction will charge a fee that will vary. Appraisal Fees. An appraisal of the property to be purchased is requested to help determine if it is valued below, at or above the selling price. Lender fees include underwriting fees which cover the cost of evaluating your mortgage application. Recording fees to the county, so the transaction can be entered into records. Stamp tax based on state and county requirements. Again, this is one of the fees associated with ensuring the transaction is recorded with various governments. Credit report fee. Simply, what it costs for the lender to pull your credit report to help determine your credit scores. Origination fee: This is based on particular companies that you pick to process your mortgage. Not all companies add an origination fee. Survey fee, this includes the verification of property lines, and may reveal other things about the property, like whether or not it is in a flood plain. Inspection fees of the property. Buyers often want to have a certified property inspector go over the home to be purchased to assess whether or not items are up to code, judge the safety and remaining life of systems, and more. Based on the inspection, some buyers may then ask for seller contributions toward repairs or a home warranty. Escrow deposits for home owner’s insurance and property taxes. These are funds set aside to pay crucial costs. Obviously, taxes must be paid and your lender will require that your property be insured. Home Owner’s association fees. Your new home – no matter the type/style – may be part of an association. If so, you should know those fees and particulars like when they are due and what they cover. 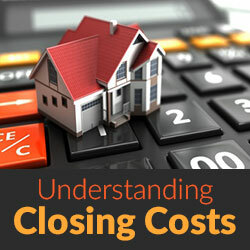 Now, the biggest question everyone asks is, How do I avoid closing costs? The answers vary depending on whether you are looking at a purchase versus a refinance. On a purchase, you can negotiate with the seller to give you a credit toward closing costs. This is purely subjective in your negotiations. And it’s good to know that some types of loans have a maximum the seller can contribute toward closing costs; you can’t negotiate around requirements of the loan. Some lenders – or their funders – offer a no-closing-cost (to you) or “lender-funded” loan, which is accomplished by increasing the interest rate on the loan to accommodate the fees associated with the loan. Also, on a refinance, you can roll the fees into the new loan amount as long as you have enough equity in the property to cover those costs. Both your mortgage lender and your real estate professional should be able and willing to help you understand closing costs and other facets of your transaction. In fact, a red flag would be if they are unable or unwilling to help you understand the lingo. Likewise, the closing attorney, as noted above, should go over much of this information at your closing and be willing to answer any questions. Even so, it’s a good idea to understand much of this before you get to the closing table because, at that point, you’re really just finalizing things. So, again, look to your lending and real estate pros for guidance and for help with questions. Too, before you get to the closing table you’ll have documents that enumerate all of these costs. Use them to answer any questions you may still have. The primary document that shows you all of this is changing in 2015 due to changing regulations, but will still be available to you. In fact, one of the changes will mandate that you see a summary of all of these costs three days before your closing.